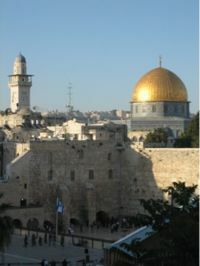 The history of the Middle East dates back to ancient times, and throughout its history the Middle East has been a major centre of world affairs. The Middle East generally has an arid and hot climate, with several major rivers providing for irrigation to support agriculture in limited areas. 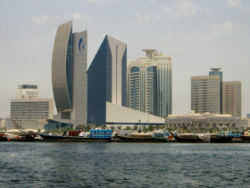 Many countries located around the Persian Gulf have large quantities of crude oil. In modern times, the Middle East remains a strategically, economically, politically, culturally, and religiously sensitive region. 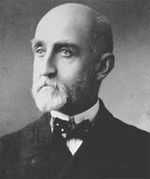 The term "Middle East" may have originated in the 1850s in the British India Office, and became more widely known when American naval strategist Alfred Thayer Mahan used the term. During this time the British and Russian Empires were vying for influence in Central Asia, a rivalry which would become known as The Great Game. Mahan realized not only the strategic importance of the region, but also of its centre, the Persian Gulf. He labeled the area surrounding the Persian Gulf as the Middle East, and said that after the Suez Canal, it was the most important passage for Britain to control in order to keep the Russians from advancing towards India. Mahan first used the term in his article "The Persian Gulf and International Relations", published in September 1902 in the National Review, a British journal. Mahan's article was reprinted in The Times and followed in October by a 20 article series entitled "The Middle Eastern Question", written by Sir Ignatius Valentine Chirol. During this series, Chirol expanded the definition of the "Middle East" to include "those regions of Asia which extend to the borders of India or command the approaches to India." With the series end in 1903, The Times removed quotation marks from subsequent uses of the term. Until World War II, it was customary to refer to areas centered around Turkey and the eastern shore of the Mediterranean as the Near East, while the Far East centered on China. The Middle East then meant the area from Mesopotamia to Burma, namely the area between the Near East and the Far East. The sense described in this article evolved during the war, perhaps influenced by the ancient idea of the Mediterranean as the "sea in the middle". One widely used definition of the "Middle East" is that of the airline industry, maintained by the IATA standards organization. This definition — as of early 2007 — includes Bahrain, Egypt, Iran, Iraq, Israel, Jordan, Kuwait, Lebanon, Palestinian territories, Oman, Qatar, Saudi Arabia, Somalia, Sudan, Syrian Arab Republic, United Arab Emirates, Pakistan and Yemen. This definition is used in world-wide airfare and tax calculations for passengers and cargo. Many have criticized the term Middle East for what they see as Eurocentrism, because it was originally used by Europeans (although Alfred Mahan was American) and reflects the geographical position of the region from a European perspective. It is also criticized due to the fact that the term today is often used to only refer to the Arab world, making the situation more confused. Today the term is used by Europeans and non-Europeans alike, unlike the similar term Mashreq, used exclusively in Arabic-language contexts. The region is only east from the perspective of Europe. To an Indian, it lies to the west; to a Russian, it lies to the south. The description Middle has also led to some confusion over changing definitions. Before the First World War, Near East was used in English to refer to the Balkans and the Ottoman Empire, while Middle East referred to Persia, Kurdistan, Afghanistan, present day Pakistan and Central Asia, Turkistan and the Caucasus. In contrast, Far East refers to the countries of East Asia, e.g. China, Japan, Koreas, Hong Kong (China), Taiwan, etc. Such critics usually advise using an alternative term, such as "West Asia". The official UN designation of the area is "Southwest Asia". With the disappearance of the Ottoman Turkish Empire in 1918, Near East largely fell out of common use in English, while Middle East came to be applied to the re-emerging countries of the Islamic world. However, the usage of Near East was retained by a variety of academic disciplines, including archaeology and ancient history, where it describes an area identical to the term Middle East, which is not used by these disciplines (see Ancient Near East). So in shorter words, the term Middle East came about when the UK/French part of the world used the term. The Eisenhower Doctrine, a 1957 policy of the United States government, was the first to officially use the term Middle East. Secretary of State, John Foster Dulles defined the Middle East as "the area lying between and including Libya on the west and Pakistan on the east and Turkey on the North and the Arabian peninsula to the south, plus the Sudan and Ethiopia." In 1958, the State Department explained that the terms " Near East" and "Middle East" were interchangeable, and defined the region as including only Egypt, Syria, Israel, Lebanon, Jordan, Iraq, Saudi Arabia, Kuwait, Bahrain, and Qatar. There are terms similar to "Near East" and "Middle East" in other European languages, but since it is a relative description, the meanings depend on the country and are different from the English terms generally. In German the term " Naher Osten" (Near East) is still in common use (although nowadays the term "Mittlerer Osten" is more and more common) and in Russian Ближний Восток or "Blizhniy Vostok" (Near East), Bulgarian Близкия Изток (Near East) or Polish Bliski Wschód remains as the only appropriate term for the region. However, some languages do have "Middle East" equivalents, such as the French Moyen-Orient and the Italian Medio Oriente. 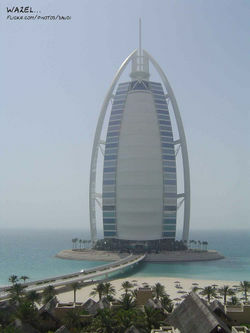 Perhaps due to the influence of the Western press, the Arabic equivalent of “Middle East,” “‫الشرق الأوسط‬” (“ash-sharq al-’awsaT”), has become standard usage in the mainstream Arabic press, comprehending the same meaning as the term “Middle East” in North American and Western European usage. The Persian equivalent for Middle East is خاورمیانه (Khāvarmiyāneh). The Middle East (specifically, the Fertile Crescent) was the first centre of agriculture (see history of agriculture), and therefore of civilization. It lies at the juncture of Eurasia and Africa and of the Mediterranean Sea and the Indian Ocean. It is the birthplace and spiritual centre of the Orthodox Christianity, Islam, Judaism, Yezidi, and in Iran, Mithraism, Zoroastrianism, Manichaeism, and the Bahá'í Faith. The Garden of Eden from the Book of Genesis is also thought to have been located between the Tigris and the Euphrates rivers, making the Middle East the cradle of civilization. Thus throughout its history the Middle East has been a major centre of world affairs; a strategically, economically, politically, culturally, and religiously sensitive area. During the Cold War, the Middle East was a theatre of ideological struggle between the two superpowers: the United States and the Soviet Union, as they competed to influence regional allies. Within this contextual framework, the United States sought to divert the Arab world from Soviet influence. Throughout the 20th and into the 21st century, the region has experienced both periods of relative peace and tolerance and periods of conflict and war. Current issues include the Iraq War, Israeli-Palestinian conflict, and the Iranian nuclear program. The Middle East is home to numerous ethnic groups, including Amhara, Arabs, Armenians, Bahraini, Egyptians, Berbers, Africans, Assyrians, Azeris, Druze, Georgians, Greeks, Jews, Kurds, Persians, Turks, Turkmen and the Somali. Arabic in its numerous varieties and Persian are most widely spoken in the region, with Arabic being the most widely spoken language in the Arab countries. Other languages spoken in the region include Armenian, Assyrian (a form of Aramaic), Azeri, Balochi or Baluchi, Berber languages, Circassian, Persian, Georgian, Hebrew in its numerous varieties, Kurdish, Luri, Turkish and other Turkic languages, Greek and Urdu. In Turkey, Kurdish, Dimli (or Zaza), Azeri, Kabardiaz, and Gagauz languages are spoken, in addition to the Turkish language. English is also spoken, especially among the middle and upper class, in countries such as Egypt, Jordan, Israel and Kuwait. French is spoken in Algeria, Israel, Lebanon, Morocco, Syria, and Egypt. Hindi and other Indian and South Asian languages are spoken in many Middle Eastern countries, such as the United Arab Emirates, Israel, and Qatar, which have large numbers of South Asian immigrants.